Everest three pass trek is one of the most complicated treks of Everest region which starts from Lukla and ends at the same place. 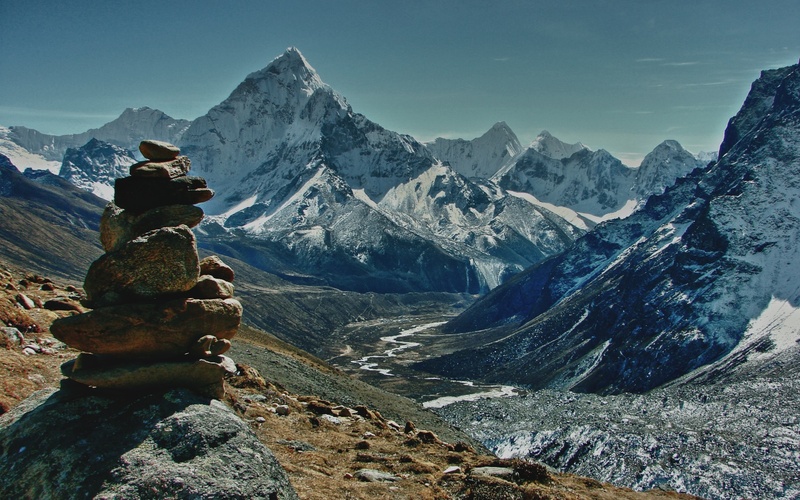 The combination of three popular passes like Renjo La Pass, Chola Pass and Kongma La Pass is called Everest three pass trek and on this trek you can see most of the beautiful parts of Everest region along with highest passes. Gokyo Ri, Chola pass and Everest Kalapathar are the prime attractions of this trek. From Thame, we slowly climb up and trek to Marlung. On the way to it, we can see the nice view of snow-capped mountain and and The way to Tibet called Nangpa La pass which is take the main way for trading between Nepal and Tibet. We stay overnight at a lodge. After having spent a night there, we continue our journey to Lunden which takes around 4/5 hours. Today we can see the same view like yesterday and along with more mountain view . At the end of the day, we will get to Lunden and spend a night there. This day is the hardest day due to Renjo La Pass 5360m. From here the trail gently climbs up and crosses the high pass called Renjo La Pass. You can see good view of montains from the top. After that we descend down and finally arrive at Gokyo lake where we spend a night at lodge. You have full day free today and if you want, you can explore the glacier and round Gokyo Lake and take rest and enjoy. From Lobuche, we trek to Kongma La pass 5535m. There is no any lodge on the way to it and you have to take pack lunch. 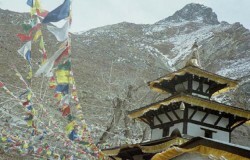 After Kongma La pass, we will descend down to Chhukung which takes around 10 hours and stay overnight at a lodge. Today, we will continue our journey back to Tyangbuche which takes around 5/6 hours. On the way to Tyangboche, you can see the wonderful scenery of Mt. Everest, Lhotse, Amadaplam and the khumbu valley. We stay a night at Tyangboche at lodge. We will drop you to the airport for your final departure. Arrival and departure transportation, Kathmandu/Lukla/Kathmandu flight tickets, 3 nights hotel in Acme Guest House with breakfast, Tims card and Permits, one guide, porters, their foods and insurance, in trekking your accommodation, food (breakfast, lunch and dinner) etc.